...and our new Typography wall quotes collection proves it. Typography! 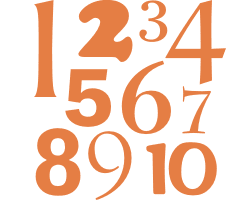 Letters, numbers, fonts, fancy lingo - it's all there. 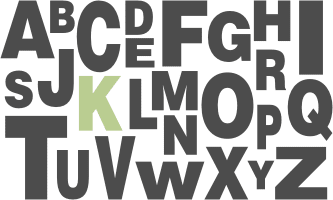 Alphabets in kids rooms, numbers in the nursery, letters in the office, fancy designs in the library - these work everywhere. Did you know that the ampersand symbol is a ligature of the et (and) from the Latin? Not kidding. It was originally known as the phrase "and per se and", meaning "and [the symbol which] by itself [is] and". Whew, right? Typography: who doesn't love it? Or is it just us?